For years now, my creative team has been inserting clever images or photographs into my blogs as a way to get the attention of our readers, amplify a point, or possibly even to make (a lot of) fun of me. This time, the photo is the main point of my monthly missive. Sometime back in 2018, I wandered into a fast food joint in Maryland. I remember exactly where it was because whenever I pass by that exit in Frederick, I think about what I saw. 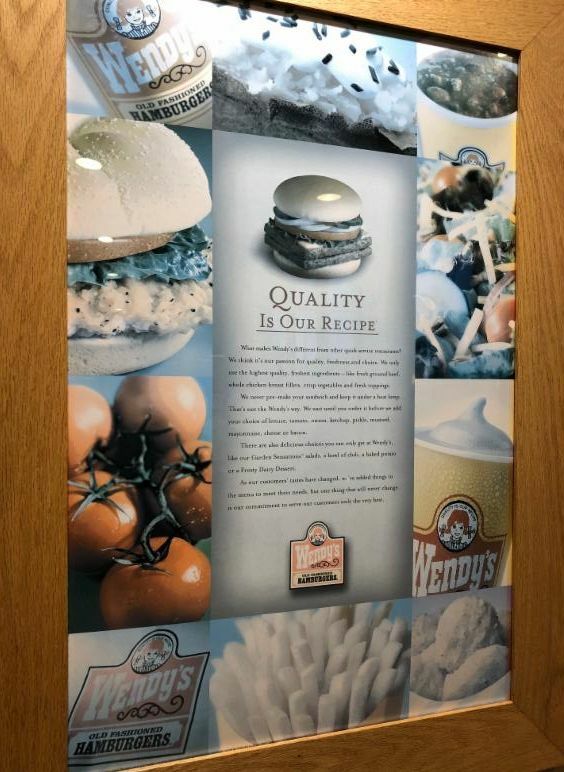 The headline on the poster says “Quality Is Our Recipe” and, as you can see, there is subtext and some photography to support the statement. I’m not actually sure what the copy says because something else about the poster took all of my attention. "Would you like discolored fries with that?" The poster had obviously not been set in a UV-protected frame and mounting. And, after years in the sun (or maybe months, I’m not sure), every image in the design had faded. Sometimes sepia tones work well as part of an advertising campaign – just not when the focus is on food. No one wants to see a gray hamburger or washed out tomatoes, or the faded bubbles of what should be a fresh carbonated soft drink. No matter the artist’s intention or the agency’s design, if no one at the store bothers to look at the finished product and make a local decision that “hey, this doesn’t look right”, the project won’t end up with the right execution. It’s likely that people at the store looked at this every single day and hopefully cleaned it or at least wiped it down at least once a week. No one bothered to really look at it. In the end, that poor execution became an ironic example of “Quality is Our Recipe”. So in that instance, I used the restroom, bought a soft drink, and hit the road. I never bothered to stop back in to eat and I had lost my appetite for a burger that day for sure.